The Naboisho Conservancy is a 200km² community pastoralist and wildlife conservation area and is home to Ol Seki Hemingways Mara. 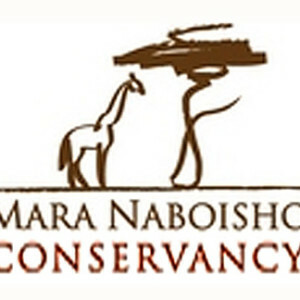 Naboisho is the second largest conservancy in the Mara region and represents a community response to the challenges of privatisation of group ranches in the Greater Mara region. The conservancy was established in 2010 and provides the opportunity to conserve the land and the wildlife, whilst simultaneously creating wealth for the local Maasai landowners of which there are approximately 500. 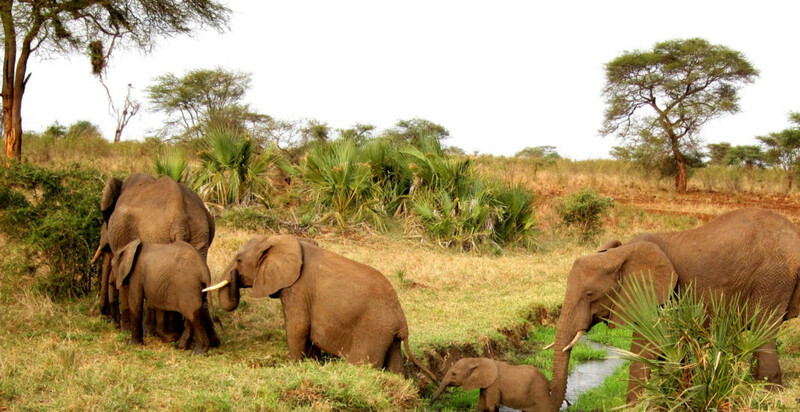 The population distribution around the Naboisho Conservancy is estimated to be a little fewer than 23,000 people. The Maasai have maintained a pastoralist way of life, co-existing with wildlife for several thousands of years. Livestock farming is the main source of livelihood along with income for the landowners who have leased their land to tourism enterprises such as Hemingways Collection. The creation of the conservancy is an opportunity not only to conserve the wildlife, which is under threat from human activities and land-use changes, but also help to diversify the livelihoods of the Maasai so that they can cope with the climatic fluctuations that are common in the drylands. Together with our partners in Naboisho Conservancy we’re actively engaged in numerous conservation and community projects aimed at conserving the land and wildlife and providing a sustainable livelihood for local Maasai communities. In 2016, Naboisho Conservancy was the overall winner at the African Responsible Tourism Awards in recognition of the ways the conservancy truly brings together community and wildlife conservation. WMA is a non-profit, voluntary organization bringing together a diverse membership of groups and organisations primarily to benefit the Watamu community, protect the environment and promote quality tourism. Formed in 2007, Hemingways is a founding member of WMA and continues to work closely with the Association and its membership. The Association is steered by an elected Committee and invites local public authorities and government agencies to actively participate in meetings and decision – making processes. WMA administration and running costs are covered by internal fundraising and membership support ensuring any donations are spent directly on WMA projects and community programmes. One of WMA’s most successful projects to date is the Community Waste Management Project which aims to recycle plastic waste found on the beaches of Watamu for arts and crafts production thereby providing income to the communities. Other vital projects include minimization of coastal pollution through beach clean ups, campaigning against illegal fishing methods and over fishing with threaten coral reefs and other vital marine habitats and the empowerment of local community groups to participate in management and decision making processes related to the marine resources. CRA was founded in 2008 to engage with underprivileged children and offer them something positive to focus on. The Association aims to nurture and identify talent at an early age, maintain focus, develop rugby skills and prevent indulgence in drugs. Drug awareness and education is a primary pillar of the CRA and continues to make a positive difference in their lives. The CRA has been organizing age grade rugby matches and competitions for young children from the urban slums in and around Nairobi. Five teams comprising Runda, Ngong, Bulbul, Matasia and Arise (Dagoretti) fall under the organization of the CRA with a mix of boys and girls teams ranging from 8 to 16 years of age. Training is run from open fields in the wider Nairobi area and takes place on Saturdays and Sundays. Each team has coordinators and supporting volunteers. Hemingways Collection contributes financially to the Association to support their vision of establishing a national program with adequate remuneration for coaches thereby creating a bridging structure for the children within the age grade structures to be able to progress into the established clubs and thereafter the national teams. One Horizon is a humanitarian, non-profit organization whose objectives are poverty alleviation. Staying true to their mission, they have established programs that focus on poverty alleviation. They embrace the pillars of sustainable tourism and a global community standing together as one, so that the less fortunate communities can see a bright future on their horizon. Founded in 2007, they have managed to impact thousands of lives. The group operates over 20 child rescue centres in and around Nairobi and sustains a feeding program which feeds over 2,000 children a day. They have developed a sustainable women’s empowerment program and established income generating projects like candle and jewellery making. Their projects enable the women and children One Horizon supports to become independent and improve their living standards. Hemingways Collection supports One Horizon and its objectives in two ways. Firstly, we arrange staff visits to their different centres within Nairobi. Our staff spend a day assisting in the centre and spending time with the women and children. Activities include organising and recording health checks, helping prepare and serve lunch, supporting art and crafts classes and physical education and exercises. We also deliver essential food stuffs to support the Group’s feeding programme. As part of our partnership with One Horizon we also offer guests of our hotels the opportunity to visit a One Horizon centre in Nairobi allowing our guests to play a part in experiencing and connecting with the various programs. The fees charged to guests contribute directly to the different programmes that One Horizon operates creating a pronounced change in the lives of these children and women.